Had a great weekend up on the mountain in Girdwood, Alaska. 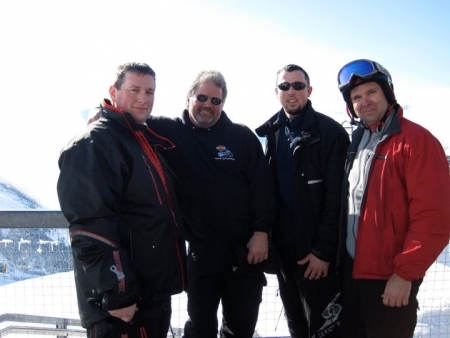 The weather was great and I was able to enjoy some time with my friends and family skiiing. This all took place while my campaigns were running. I love making money and not having to be sitting in front of the computer to do it. This March is now my 3rd $1000 month. I still can't believe it but it is possible. 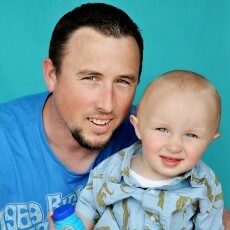 I am so, so happy and really look forward to increasing my business and spending more time with the family. I mean what better way to celebrate than to be at a beautiful mountain and enjoying the 40F degree weather while making money. Please everyone understand it is possible. I wanted to post a few pics from my ski trip and hopefully inspire a few people to keep on writing, posting, blogging whatever you have going on and remember that we are trying to help people. Awesome to see your success! How did you do it? What advice do you have for a newbie? 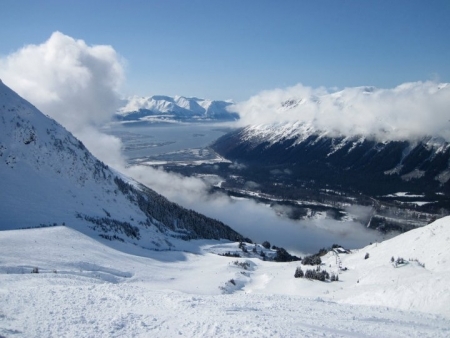 Yes, I love to visit Alyeska Ski Resort as often as I can! I've been living here in Anchorage for almost 33 years now and it never get's old for me!! Glad you were able to come up and enjoy our gorgeous state! Blessings..
Taku..Love your story but notice it was written a few years ago. Any updates? Congrats and wishes for continued success!!! U are an inapiration!! Congrats! Hope you have many more thousand dollar months! Thank you for showing these pictures, your words are really inspiring to learn from you your experience! Thanks for all the great feedback. I really want people to know that it is possible. Everyone can do it, all it takes is time and effort, if the niche you are working on is even making you one sale a month than capitalize on it. You can do it! Looks like a great place for skiing!! Congratulations on your sustained success! Great pics too! Congrats on your continued success. Love the pics. Looks like you had a good time! Many more to come! Thanks for the inspiration I have had some success(es) but finding the consistency is still eluding me. I find that my sales still appear at random usually when I least expect it. The multi million dollar question is how many sites, articles, forum posts and backlinks etc. does it take to achieve that type of consistent performance? I guess the answer depends on how good your niches are and how relevant the copy etc. etc. Great job anyway enjoy the spoils, and relax time your efforts have brought you! ....if you look in the distance, what is that man doing there? Anyway, back to it. Thanks all, it has been a wild year so far. I am looking forward to the rest of it. Great post!!! Love success stories. Good job. Beautiful pics. Now you're rolling. Another $1000 Month! Woo! Hoo! I Made It To Vancouver!